Q.460 Is reality really real? Reality is that which never changes; that which is the only existent, conscious ‘thing’, which lacks nothing and is limitless. 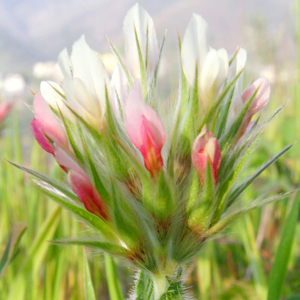 Every, seeming ‘thing’ in creation is, on the other hand, transient and limited. But this view of (pointer to) reality is not the only viable view, right? I mean viable in general, not within the Advaita worldview. Couldn’t we say, instead, that reality is whatever happens to exist, in this moment, in the consciousness of the beholder? Reality as qualia, as subjective experience. In which case every seeming thing that exists in the moment is real (in the moment). Or that reality is change, is transformation? Or that reality is a concept that points to ___________ (the mystery)? Nowadays, there are still large numbers of people who, even if they do not entirely accept all of the claims made by their religion and no longer recognize it as an authority for their everyday behavior, nevertheless pay lip service. And sentiments such as ‘love thy neighbor as thyself’ do seem to contain great wisdom, finding a balance between the two extremes given above. So, do any of these philosophies provide us with the answer for which we are looking? It has been a very cursory overview and obviously much has been omitted, particularly the ideas of more recent philosophers. Again I must remind the reader that I have not studied all of these philosophers and my findings are the result of reading histories, dictionaries and overviews and of research on the Internet. I have extracted only those ideas that seemed relevant. Philosophers typically take an interest in many areas, even if they concentrate principally on one or two and they often devote much effort to supporting, or more frequently refuting, the ideas of their predecessors. If you should attempt to go into any significant detail on any aspect of what has been outlined above, you would soon find yourself reading many books and studying often complex arguments on all sides of the issue. All that I have attempted to do was to find some relevant ideas and I have to say that none of the ones that I discovered seem entirely appropriate for today’s society. When deciding whether an action should be deemed good or bad (as opposed to whether it is something we ourselves want to do), people will sometimes try to calculate whether the result will benefit the majority. This principle was expressed in the 18th Century by Francis Hutcheson: ‘That action is best which procures the greatest happiness for the greatest numbers’. It is effectively the opposite of what Kant was saying. Whereas he insisted that it was the motive alone that determined whether an act should be deemed to be ‘good’ and that we should act from a sense of duty, Hutcheson was claiming that motives were ultimately irrelevant, it was the outcome alone that mattered. Kant’s noumenal consisted of the reality of mental things – plural – though we could never be objectively aware of them in any sense, and effectively acknowledged the existence of many minds as well as that of God himself. Kant was very influential, thought by many to have been the greatest of modern thinkers, and a number of philosophers attempted to build upon or revise his ideas, in particular to do away with his unknowable reality. The reaction to the perceived unreasonableness of the empirical method was most apparent in the philosophy of Rousseau in France, which eventually contributed to the Romantic Movement, with its disdain for reason and advocacy of giving free rein to feelings and instinct. It was also taken up by those who instigated the French Revolution. Rousseau believed that man is inherently good but that the rise of civilisation, begun through the inequalities created in claiming ‘private property’ had corrupted us. Voltaire, on reading of his ideas, sarcastically commented that he was too old to start walking on all fours or searching out the savages in Canada. They also quarrelled over an earthquake in Lisbon. Voltaire saw in it a justification for questioning the beneficence of a God that would allow such a thing. Rousseau thought it served them right for living in seven-story houses rather than out in the countryside where they ought to have been. In any case, he did not think that we could use reason when talking about God; our attitude should be one of awe and reverence. 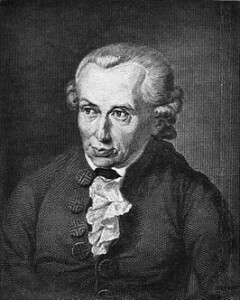 In Part I of this three-part series, I introduced Kant’s work and summarized his views on a priori and a posteriori knowledge. 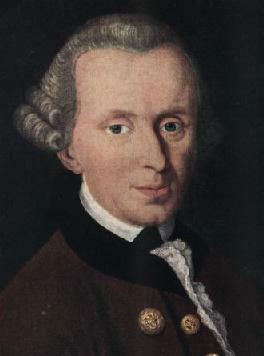 In this second part, we’ll review analytic versus synthetic judgments, clarify the meaning of transcendental idealism as it applies to Kant’s work in general, and also analyze tat tvam asi in terms of Kant’s philosophy. 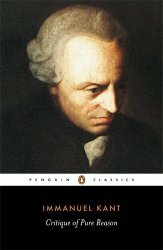 This the first of a three-part series discussing the relevance of Kant’s philosophy to Advaita.